Patrick Frazee was arrested Friday morning for first-degree murder and solicitation for first-degree murder. His arrest comes one week after police executed a search warrant at his 35-acre Florissant property. Law enforcement officials have arrested the fiancé of Kelsey Berreth, a Woodland Park mom who hasn’t been seen since Thanksgiving. 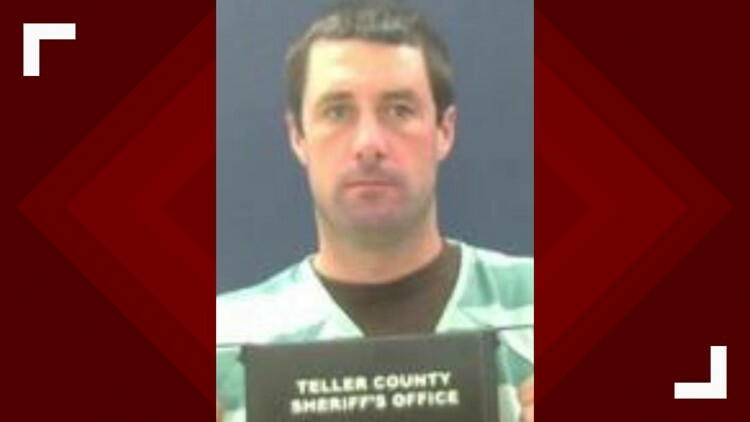 Patrick Frazee was taken into custody Friday morning just after 7 a.m. at his home in Florissant by members of the multi-jurisdictional team including the Teller County Sheriff’s Office, Woodland Park Police Department and the FBI. Frazee was arrested and is expected to face charges of first-degree murder and solicitation for first-degree murder. No additional arrests have been made yet, but that is an "absolute possibility," according to Woodland Park Police Chief Miles De Young. Frazee was advised of his charges Friday afternoon from the Teller County Jail. He's slated to appear in court again the morning of Dec. 31. The public defender representing Patrick Frazee filed three motions with the court this afternoon, asking the judge to order prosecutors and law enforcement to preserve evidence, and requesting that limited information about the case be released to the public. The public defender specifically asked that all police keep all handwritten notes, video and audio recordings of interviews with anyone during the search for Kelsey Berreth. Court records show that Judge Linda Billings ordered the preservation of all blood, tissue, body fluids and all evidence that has been or will be collected in this case. Frazee has no prior criminal record in Colorado, according to Colorado Bureau of Investigation records. He is currently being held without bond. Frazee's arrest comes one week after police initially executed a search warrant at his 35-acre Florissant property, which is about 15 miles west of Woodland Park where Berreth was last spotted shopping at a Safeway store with her daughter on Nov. 22. The couple’s 1-year-old daughter, who had been with Frazee until Friday morning, has been taken into protective custody. According to a court docket, Berreth had a temporary custody hearing scheduled for Dec. 27. Police officers and agents with the Colorado Bureau of Investigation were seen going in and out of Kelsey Berreth’s home Thursday night. 9NEWS reporter Jordan Chavez also spotted an evidence response team leaving the Woodland Park Police Department. De Young said investigators believe Frazee is the last person to have seen Berreth in person when the two exchanged their 1-year-old child. Last week, Frazee said through his attorney that he voluntarily released his phone to law enforcement for a search and provided buccal swabs and photographs. Cheryl Berreth, Kelsey Berreth's mom, first reported her missing on Dec. 2 after she contacted Frazee and said she had a difficult time getting ahold of her, according to law enforcement. Berreth's phone pinged in Gooding, Idaho on Nov. 25. She has family in Idaho and Washington, according to a missing persons bulletin for the case. The same day her phone pinged in Idaho, De Young said she sent a text to her employer and said she wouldn't be in the next week. On Saturday, the Woodland Park Police Department said information leading to the location or safe return of Berreth is eligible for a $25,000 reward.